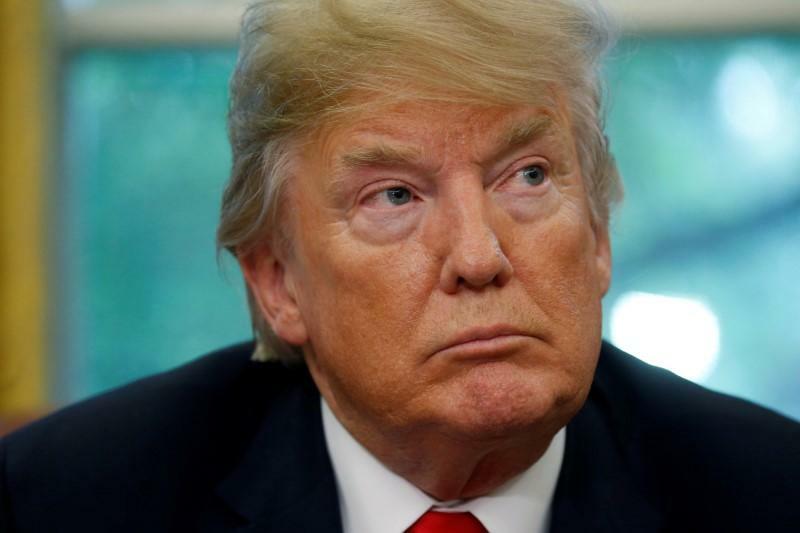 WASHINGTON (Reuters) – President Donald Trump on Friday threatened to escalate a trade war with Europe by imposing a 20 percent tariff on all U.S. imports of European Union-assembled cars. Trump posted his threat on Twitter the day European Union reprisals took effect against U.S. tariffs on European steel and aluminium. The EU targeted $3.2 billion in American goods exported to the 28-member bloc. “If these Tariffs and Barriers are not soon broken down and removed, we will be placing a 20% Tariff on all of their cars coming into the U.S. Build them here!” Trump wrote. A month ago, the administration launched a probe into whether auto imports pose a national security threat. The United States currently imposes a 2.5 percent tariff on imported passenger cars from the European Union and a 25 percent tariff on imported pickup trucks. The EU imposes a 10 percent tariff on imported U.S. cars. German automakers Volkswagen AG , Daimler AG and BMW AG build vehicles at plants in the United States. Industry data shows German automakers build more vehicles in southern U.S. states that voted for Trump than they ship to the United States from Germany. The European Autos Stocks Index <.sxap> fell sharply after Trump’s tweet and closed down 0.5 percent. Shares of U.S. automakers Ford Motor Co and General Motors Co fell immediately after Trump’s tweet but rebounded and closed higher. Last month, Evercore ISI said in a research note that a 25 percent import tariff on auto imports “would pretty much destroy the business of importing cars from Europe/China” to America. Major automakers and at least two dozen auto suppliers are gearing up to file written comments sharply opposing the tariffs before a June 29 deadline. U.S. auto executives said privately they have spent months looking at the potential impacts to sales of new tariffs, and they view the presidential tweet as a sign significant new tariffs appear likely. Trump has launched or threatened an array of trade measures, saying he aims to create U.S. jobs and protect domestic industries. He has threatened duties on up to $450 billion of imports from China. Such a move could raise prices for American consumers and businesses and hit global supply chains for industries like carmakers and electronics. Chinese reprisals have hit American farmers already. Trump’s trade policies have also escalated conflict with Canada and Mexico as he seeks to renegotiate the $1.1 trillion North American Free Trade Agreement. German automakers did not comment on Trump’s tweet. German auto industry association VDA said Germany exported 657,000 cars to North America, 7 percent less than a year earlier, and 200,000 fewer cars than in 2013. German-built vehicles exported to the United States fell 10 percent to 494,000 vehicles, while German automakers produced 804,000 vehicles in the United States last year. Automotive News data shows about 7.2 percent of vehicles sold in the United States through May were assembled in Europe. Trump has repeatedly criticized German auto imports. He reportedly told French President Emmanuel Macron he wanted to halt Mercedes-Benz models from driving down Fifth Avenue in New York City. He told automakers at a White House meeting in May he was planning tariffs on some imported vehicles. Republican lawmakers and business groups have opposed higher auto tariffs. The United States in 2017 accounted for about 15 percent of worldwide Mercedes-Benz and BMW brand sales. It accounts for 5 percent of VW brand sales and 12 percent of Audi sales.